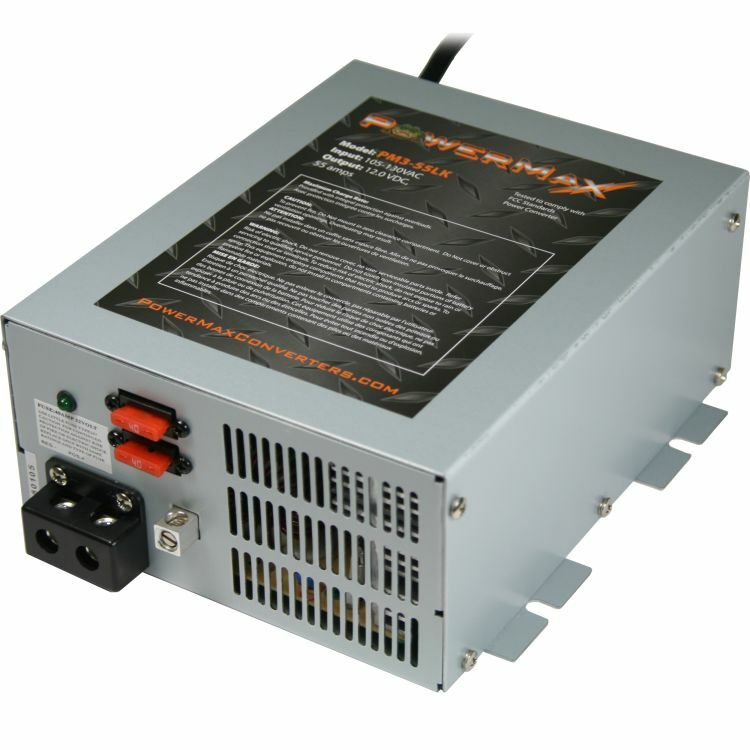 The PowerMax PM3-55LK charger/converter has a fully integrated 3-stage microprocessor controller along with its highly controlled power supply output. The LK Series features a selector between 3-Stage Smart charging or Fixed Output Mode* for faster charging needs. 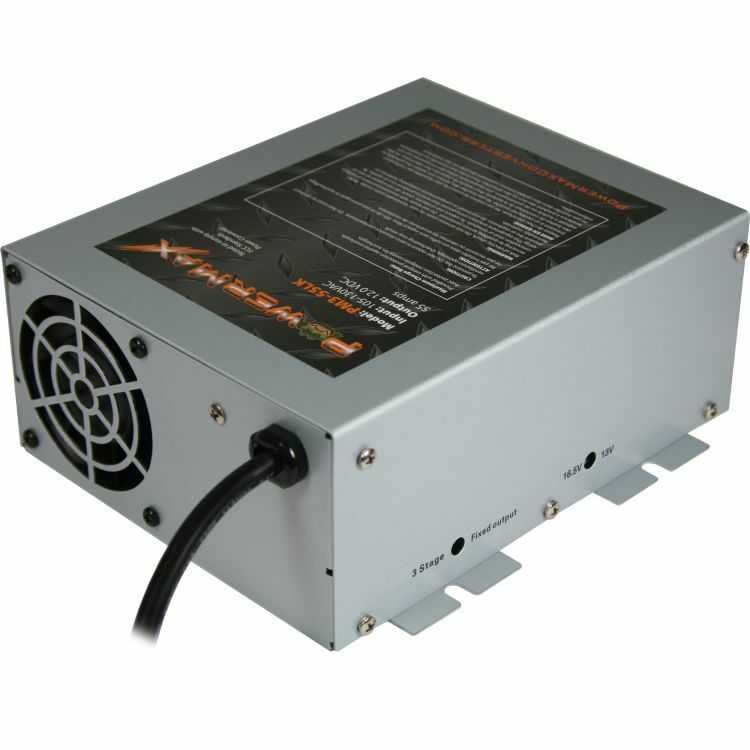 The PM3 can accept a low voltage input of 105 volts, and up to 135 VAC on the high end. Weighing in at approximently 7 lbs pounds the PM3-55LK is a great option for RV, radio, backup power, and pump use, as well as many other extremely high amperage demands. Because of its high demand abilities, the PM3 must be installed in a well-ventilated area where it will be safe from the environment. Using only the best in manufacturing technology, Power Max has designed and built a powerhouse charger/converter. Capable of provinding a constant load demand of up to 100% of its rated capacity, the PM3 series converters are among the best. Pumps, fans, motors, and radio equipment will run with no problems on the PM3 converter/charger. *The Fixed Output Mode does not offer smart charging and simply outputs at the fixed voltage. Users are highly recommended to use the 3-Stage charging mode for safe charging. Do you own the PM3-55LK? Please, tell us what you think about it. It helps us provide you with better products. Please note that it may take up to 72 hours for your review to appear.